Product #17659 | SKU 2188OP | 0.0 (no ratings yet) Thanks for your rating! 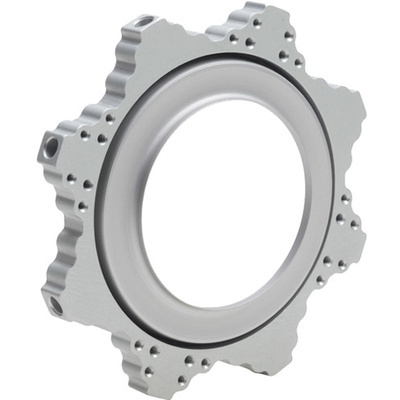 The Octaplus Speed Ring for Hensel from Chimera is a heavy duty, heat resistant, rotating aluminium alloy Speed Ring for the Chimera Octaplus Light Bank. It allows mounting of the Chimera (or other brand) Octagonal shaped light banks to a Hensel strobe head.